Spice up your lunch time routine with this simple but flavorful Southwest Chicken Wrap! Even though my kids don’t go back to school for almost another month, I’m in total planning mode. School supplies? Check. New shoes? Yes (and bought on sale). But my biggest challenge is always creating tasty AND nutritional lunch items they will actually eat. Fortunately this Southwest Chicken Wrap delivers for both me and the kids. 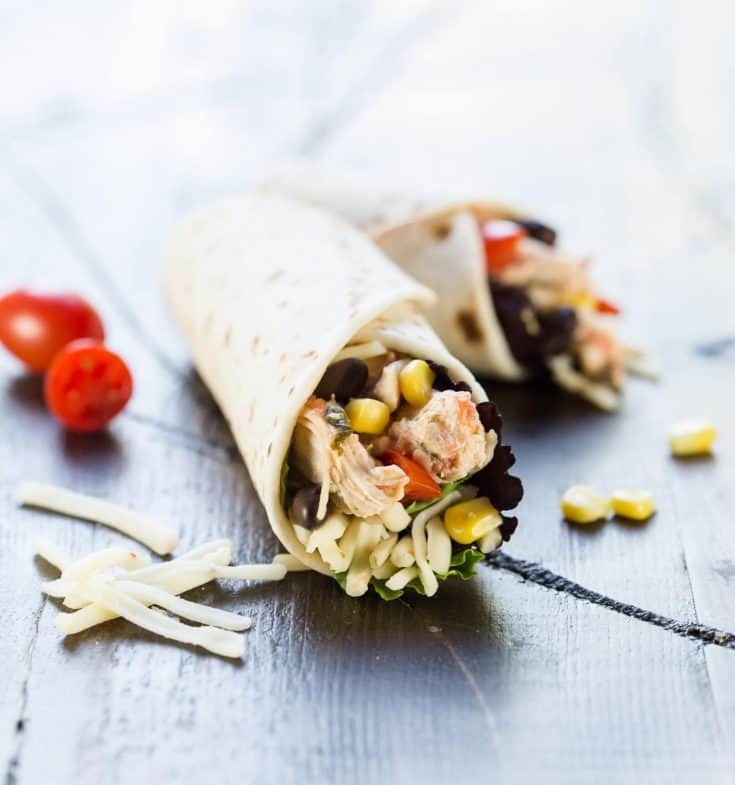 Packed with protein-rich pepper jack cheese and chicken, black beans, corn and a savory salsa ranch sauce, this Southwest Chicken Wrap is sure to keep the afternoon munchies at bay. I always include dairy foods in my kids’ lunches because they are such a tasty and convenient way to sneak protein into their growing bodies. On average, one serving of milk, cheese or yogurt provides eight grams of high quality protein. Tip: Rotisserie chicken is a great shortcut to have on hand for quick and easy lunches. Buy them on sale and keep the shredded meat pre-portioned in the freezer for quick and easy lunch prep. 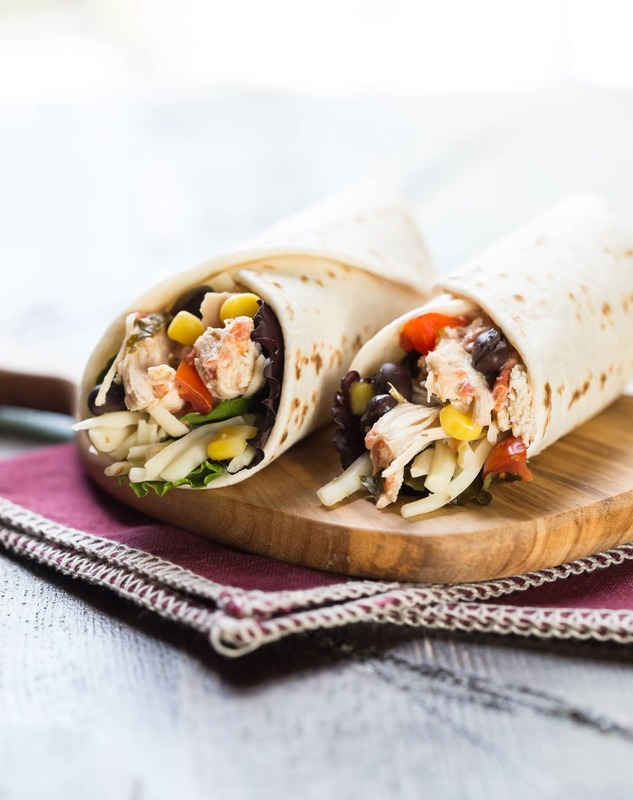 With only a handful of ingredients, this Southwest Chicken Wrap is quick and easy to pull together on busy weeknights. I like to tuck in an extra side of the salsa ranch sauce with the wrap because my kids love to dip their veggies in it, too. Add a carton of their favorite chocolate milk at school (which has the same 8 essential nutrients as white milk), and lunch is good to go. Combine salsa, ranch, cumin and chicken in a small bowl. Place lettuce leaf in center of tortilla. Top with chicken mixture and remaining ingredients and roll up tortilla. Keep the ingredients prepped and stored in the fridge for fresh wraps all week long. Disclosure: This post was sponsored by ADA Mideast. All opinions are my own. For more information about dairy nutrition, to find delicious new recipes and to meet Ohio and West Virginia dairy farmers, visit www.Drink-Milk.com, and follow the American Dairy Association Mideast on Facebook, Twitter, Pinterest and Instagram.